petition: These Surprise Seal Pups Must Be Protected! These Surprise Seal Pups Must Be Protected! During the recent government shutdown, Drake's Beach in Northern California remained closed to visitors. 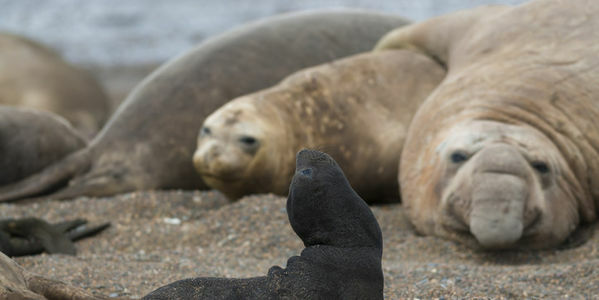 But what was bad news for beachgoers and nature lovers turned out to be great news for a group of elephant seals! 60 elephant seals decided to take advantage of the empty beach and make the spot their birthing place. During those 35 days of the shutdown, about 35 seal pups were born! The problem is that now that the shutdown is over, officials want to open that beach back up. The spate of births was really quick, magical and adorable, but also very fragile. Normally the seals would have given birth elsewhere but experts are speculating that recent storms have forced them to find new places to do it. It's critical that we don't scare, harm or overwhelm the animals. Most of the pups are still nursing with their moms so it's really important they are given time and space to get their pups ready to venture back into the ocean.